Tomer's Take: Ski Schweitzer. Loveland or Aspen/Snowmass on Friday, Whistler/Blackcomb or Banff on Saturday and Schweitzer, Whistler/Blackcomb or Banff on Sunday. 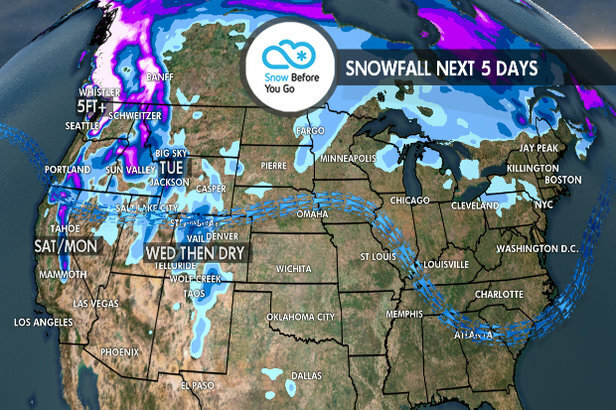 The storm track has shifted back towards the Pacific Northwest and looks to stay active over the next five days. The southern storm track continues across the East with most of the storm systems missing or only brushing New England. We're still in El Nino watch for late December, January and February. El Nino is very close. Right now the four main indicators are all positive and hovering around 1.0C. That means sea surface temperatures are warmer than normal in the south Pacific near the Equator. Aside from a couple breaks in the pattern, most of the early winter precipitation trends continue to point towards a Modoki version of El Nino. Another few weeks will be helpful to see where we stand. 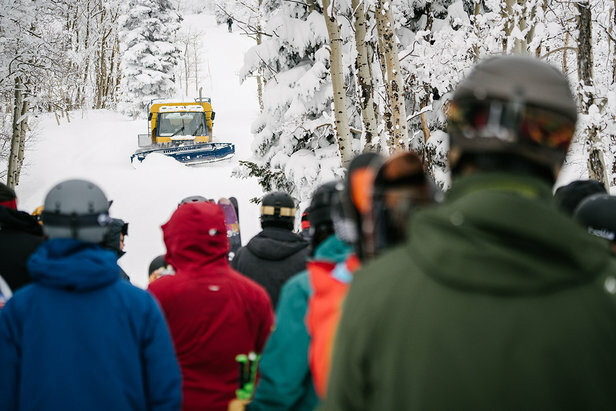 Utah Ski Trip: When to Go for the Best Snow? Three to four different storm systems are lined up over the next five days. Heavy snow accumulations across the high Cascades and volcanoes. The Olympic Mountains could also see heavy accumulations. Grand totals by Tuesday could hit 5 feet with some locally higher amounts. Moderate to heavy snow on Thursday-Friday morning with a shot of light to moderate snow on Saturday. A more organized snowfall returns Monday-Tuesday-Wednesday. Three to four different storm systems are lined up over the next five days. Heavy snow accumulations possible. Snow levels will be critical as usual with most of the accumulation at mid-mountain and higher. 3-6 feet of grand total accumulation by Tuesday. The storm track has shifted north into the Pacific Northwest. However, a couple storms may break through. A small chance of snow occurs on Saturday. A much better chance arrives between Sunday night and Monday. Snowfall winds down on Thursday in Colorado. A very small disturbance rolls through between Saturday night and Sunday with a wind shift. It could be a long dry stretch afterward for Colorado. Another disturbance could deliver light to moderate accumulations to Utah on Tuesday-Wednesday. A burst of light to moderate snow hits Schweitzer and Whitefish on Thursday with another shot of light snow on Saturday. 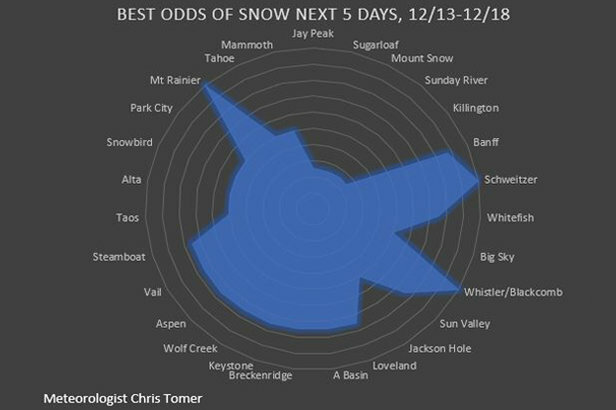 A larger, more widespread storm moves in Monday-Tuesday-Wednesday for Jackson Hole, Big Sky, Sun Valley, Discovery and Bridger Bowl. A rather quiet period except for one storm system on Saturday that brushes the ski areas with light to moderate accumulations. The southern storm track across the East prevents direct impact.